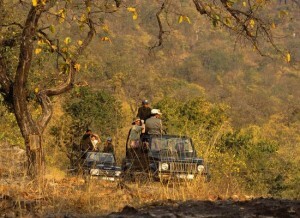 Bandhavgarh National Park is the unique land located in the Indian state called Madhya Pradesh. Now it’s one the major tourist’s attraction which gives a chance to observe almost all wild species of animals in natural surroundings. Deep green forests and grasslands of the region have also become a home for varieties of birds, different insects and large herbivores. Long ago the territory of Bandhavgarh was the hunting destination for famous Indian kings and aristocracy. 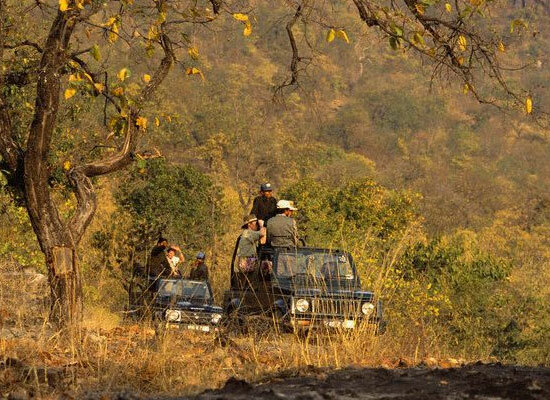 But times have changed and in 1968 the Bandhavgarh forest was declared The National Park under the protection of Indian State. The Park is situated round the so-called “castle” – a huge wide rock raising more than 8oo meters above MSL. Most of the Park’s area is rather dusty and dry it has also thick forest areas similar in climate to jungles of Amazonia. 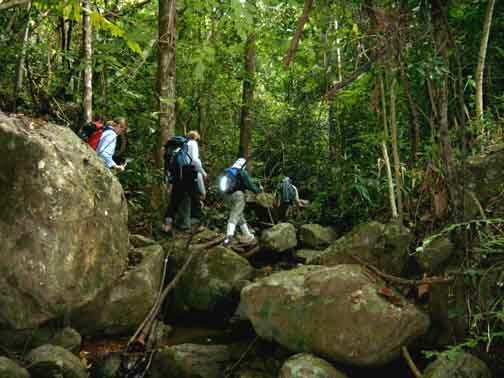 Though considered as a rather small park still it has high density of tigers, rich flora and prominent landscape. This is the territory of one the rarest animal on the planet – White Tiger. Here in thick jungle it can find enough food and shelter from hunters. Due to these facts some zoologists claim that white tigers now are breeding successfully enriching their population. Besides different species of tigers Bandhavgarh National Park is also densely populated with other animals including leopards, sloth bears, deer, samba, Red faced Monkeys, Bangal Fox, Mongoose, Asiatic Jackal, Wild Boars, Striped Hyena, Bondicoot Rat, Chausingha, Chinkara, etc. In the Park one can also see the “domestic” elephants – one of the most popular Indian animals. Among variety of birds there are little grabe, lesser teal, egret, white eyed byzzard, Black Vulture, common peafow, parakeet, Indian roller, Indian peacock and others. Among reptilian fauna one can see cobra, krait, ratsnake, python, viper, turtle and different lizards including the hugest of them – varanus. In general Bandhavgarh National Park has more 250 species of birds and nearly 22 species of mammals. The climate of the Park also has some peculiarities: weather conditions often vary to opposite extremes. For example, in winter the average temperature in the highest points may be 10-20 degrees below zero. Add to this the wind factor and you’ll get the extreme weather conditions. In summer the weather changes vise verse: hot temperature (often up to 48 degrees centigrade) combined with high humidity makes it impossible to walk without some protection for oneself. The rains in the Park usually have no predictions and often come unexpectedly. The average annual rainfall here is about1200 mm. 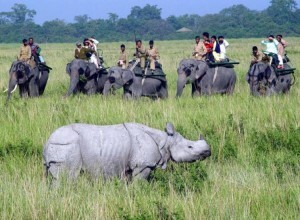 Bandhavgarh National Park provides any tourist with a wide variety of attractions including safari and elephant rides. Moreover, one can take pictures of any animal he likes. It’s also possible to feed most animals. And in Tala – a small village near the Park – there are several shops where you can buy some souvenirs or traditional Indian clothes. 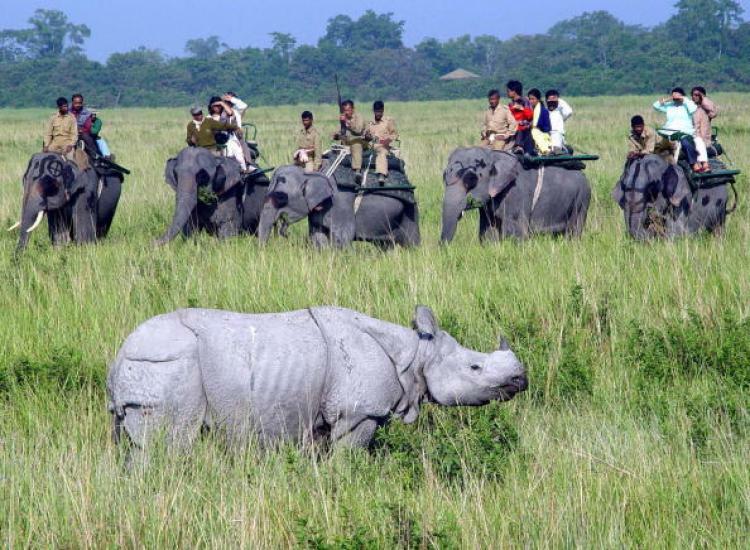 That’ s why if you fond of ecotourism and want to see the beauty of Indian wildlife and nature – Bandhavgarh National Park is the most suitable place to make your dreams come true.